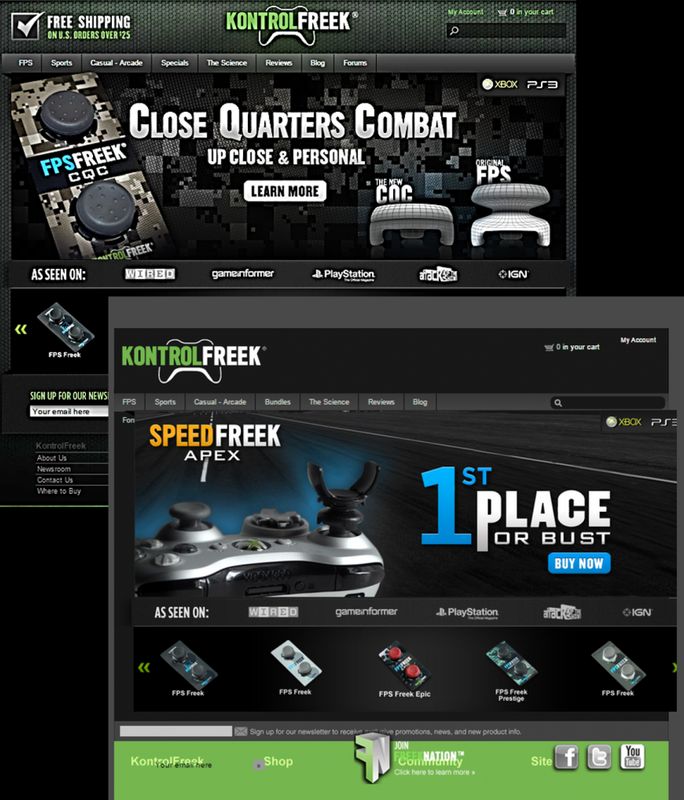 KontrolFreek makes video game console controller accessories for avid video gamers. The company’s thumbstick extenders are designed to improve accuracy and maneuverability, and alleviate thumb fatigue during prolonged game play. Revenue was generated through online purchases from their website and Amazon. in 2011, the company had established a blog, Facebook page and Twitter handle but was looking for an integrated marketing plan that would increase their mailing list and online traffic volume, and increase sales. They were also looking for a plan that could support the launch of three new products over a six-month period using existing marketing resources.